I was browsing the Budget Travel website when I came across two very interesting lists of fifteen places every kid should see. The first list consisted mostly of historical sites with the Grand Canyon, Redwood, and Walt Disney World mixed in for some variety. 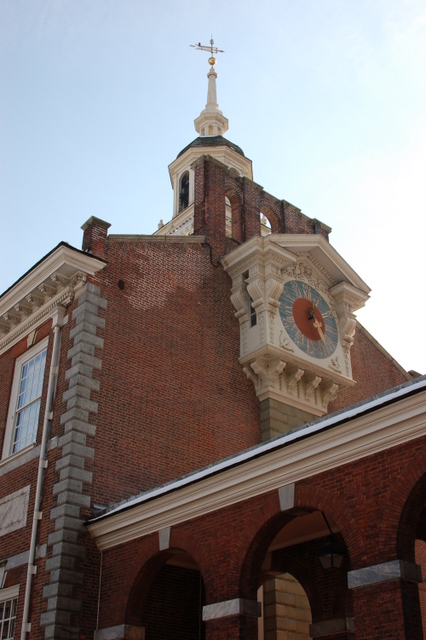 The second list was more varied, focusing on historical, cultural, and natural sites throughout the United States. While the lists themselves are interesting reading, the comments made by other readers are far more entertaining and thought-provoking. Just so we’re all on the same page, I’ll mention the suggestions given by the two articles. After reading through both lists, I was inclined to mostly agree with the authors’ suggestions. I asked Mr. Whimsey what he thought of Fenway Park being on the second list. He agreed whole-heartedly, stating with passion that any lover of baseball and baseball history would want to go there or Rigley Field in Chicago. The only place I seriously questioned was the San Diego Zoo. I was there about eleven years ago and was patently unimpressed. Perhaps, because it is always touted as one of the best zoos in the country, my expectations were too elevated. (Or, it could just be that I was seven and a half months pregnant and grouchy because my ankles were swelling from so much walking.) In my opinion, the National Zoo in Washington D.C. is much nicer and it’s free. Between Mr. Whimsey, me, and the family as a whole, we’ve been to seven sites on the first list and eight sites on the second one. When I read through the comments made by other readers – all 159 of them – the passionate responses of some of the commentors surprised me. 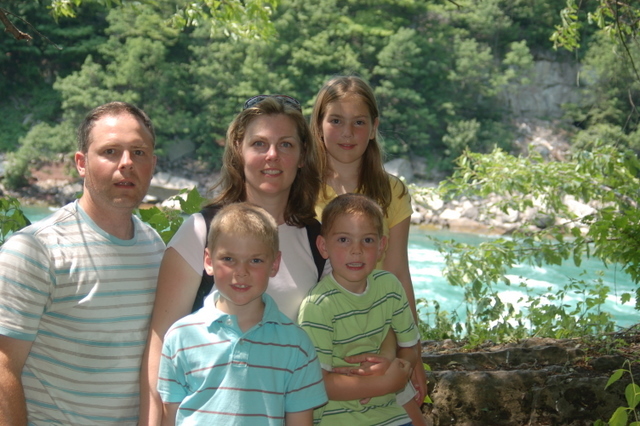 I was unaware of the magnitude or depth of feeling associated with family vacations. In sifting through the various opinions, I noticed some trends in the comments that I thought were interesting. The first trend was the topic of boredom. Many people felt that the lists in general or certain items on each list would be too boring for kids (e.g., the Grand Canyon, Williamsburg, Ellis Island, Monticello, Niagara Falls, etc). Really? I wonder if the numerous posters who talked about boredom have kids of their own. From my own experience, I think their comments are really selling the kids of America short in their capacity to appreciate these points of interest. 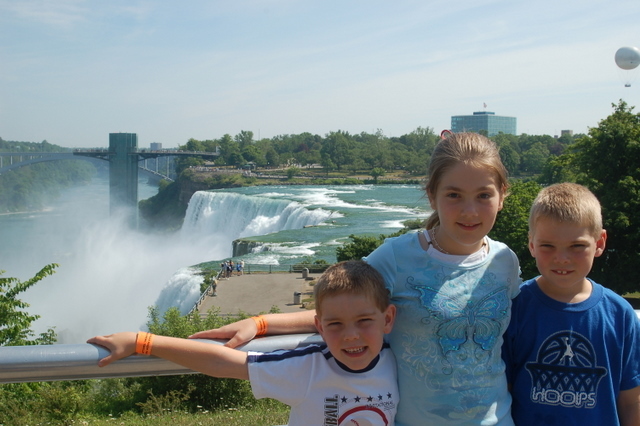 A few years ago, my family and I went to New York and spent a week in the Niagara Falls area. One full day was devoted to the Falls and not once did I hear the “B” word (B for boredom, friends), even from my niece who’s been known to throw it around occasionally. 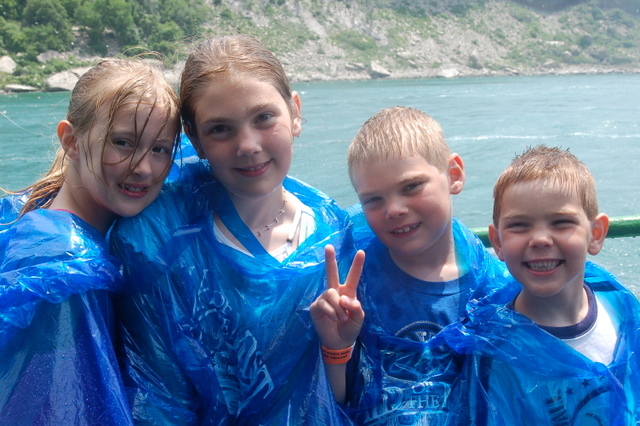 We purchased combination tickets for the American side of the falls. These tickets included viewing the Niagara River and the falls from above, The Cave of the Wind trail, the Observation Tower, a Maid of the Mist tour, a very informative film about the history of the falls, and admission to the small aquarium adjacent to the park (which we did not get to). I can’t remember the cost of the ticket, but I do remember it was a great value at the time. 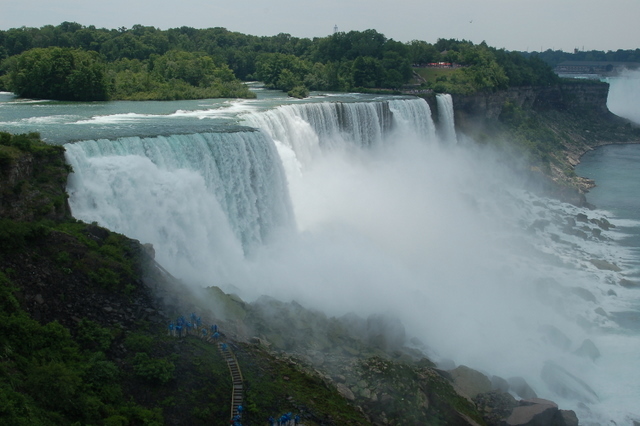 We chose the American side of the falls because of it’s less commercialized, park-like setting. We camped at a state park called Four Mile Creek a short distance away. The campground offered plenty of space for riding bikes and exploring. 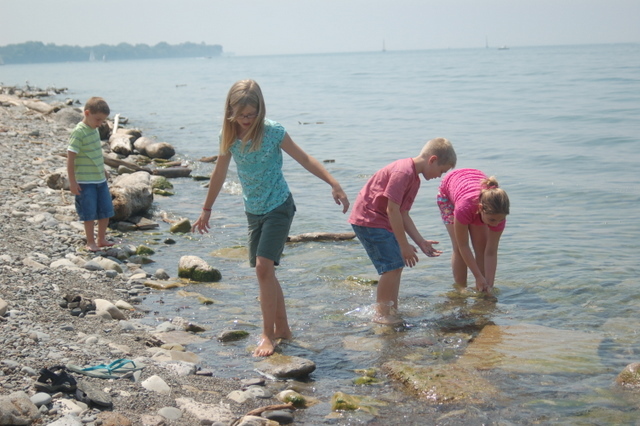 Our campsites were huge with unobstructed views of Lake Ontario. Every evening the kids looked forward to playing in the lake. 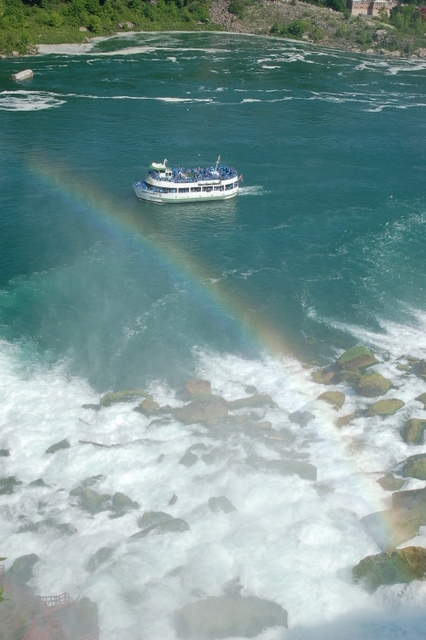 To round out the trip, we visited Fort Niagara, did a Whirlpool Jet Boat tour, visited the Canadian side of the Falls, and hiked along the Niagara River. 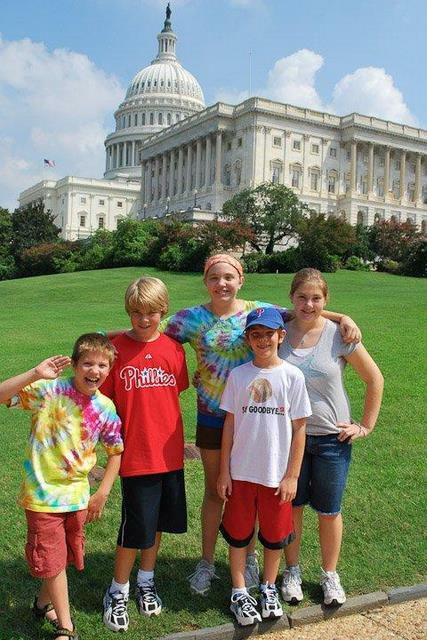 It was a great trip for everyone – grandparents, parents, and kids – that created life-long memories. By the way, we chose Niagara Falls in the first place because my daughter recommended it. She was ten at the time. 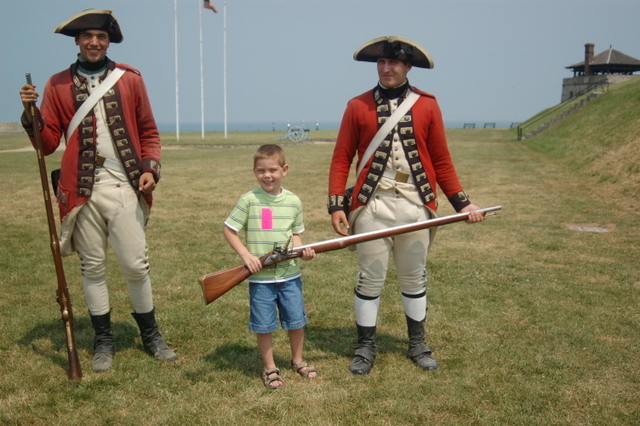 We visited Fort Niagara for our youngest son, a history lover from his very first breath. He was five. Another, smaller theme that popped up was the argument that this list was only for kids with rich parents. I beg to differ. 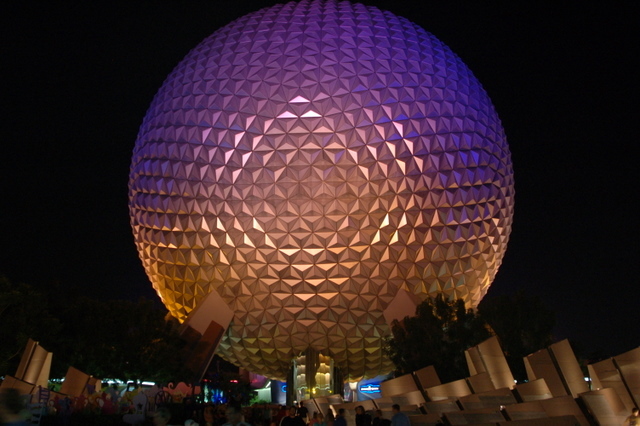 Besides Disney World, which is a financial investment no matter how many budget conscious choices you make, the list may or may not require significant funding. It’s all relative. I live in south-central Pennsylvania. Washington D.C. is a two-hour drive away. Philadelphia is even closer. We’ve been to both cities many times with very little financial outlay. Flying our family of five to Hawaii to see the USS Arizona is an entirely different story. But then, if we chose to make that investment, we wouldn’t just be visiting a war memorial. The state of Hawaii has many incredible natural and cultural wonders which we would take the time and make the effort to experience. I think these lists are pretty cost conscious. National Parks are an incredible bargain. Museums at the National Mall are free. 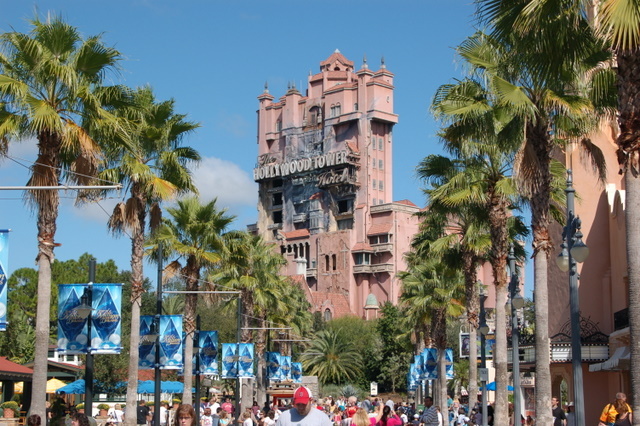 Most of the other attractions are reasonably priced. If you really want to get somewhere, you will find a way. A major area of dispute from commentors was the specific listings. There were complaints that there were not enough natural wonders, that the lists were too East Coast focused, and that too many of the places dealt with ugly parts of America’s history that weren’t really for children. Many, many people questioned why Yellowstone NP wasn’t on the first list. (I have to admit, this crossed my mind as well.) Carlsbad Cavern (NM) and Yosemite NP (CA) were mentioned frequently as well. I thought almost all of the additional suggestions were excellent. Commentors offered so many great alternative suggestions that I was forced to draw this conclusion. 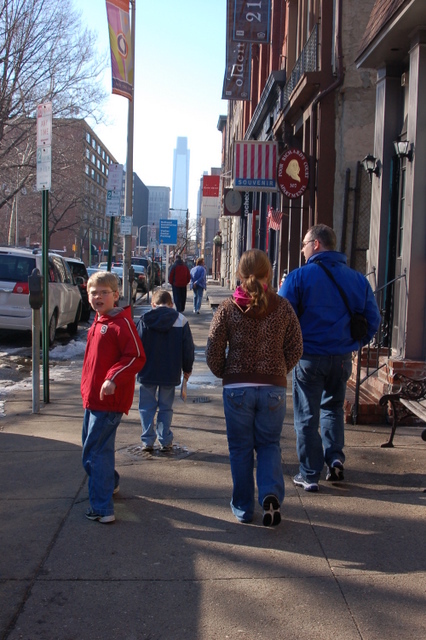 There are not just fifteen best places to take your kids on a family vacation in the United States. 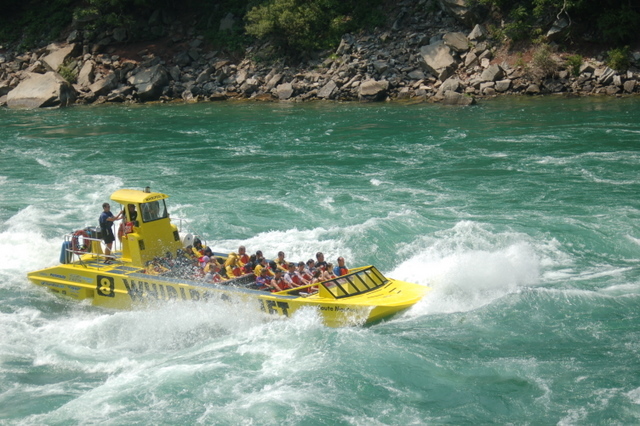 There are many, many places that offer unique fun and educational experiences for kids of all ages. The point is to just take them. Go where your budget allows, but go. Introduce them to America’s history in any form, whether it’s coal mining in Western Pennsylvania or Native American culture in New Mexico. 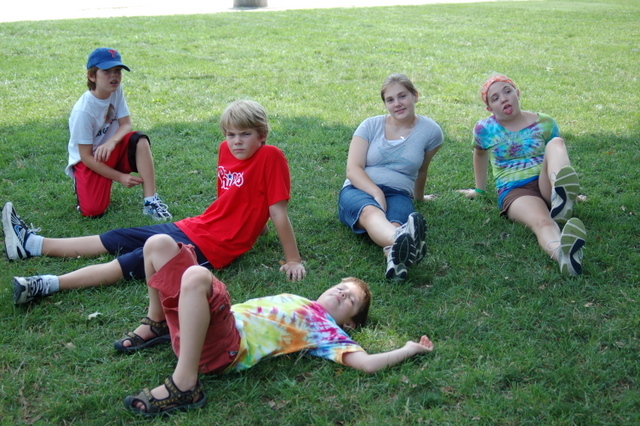 Immerse them in the Great Outdoors – in a campground a few miles away or a national park across the country. Have fun together. Isn’t that the whole point of family travel – to escape the monotony of our regular lives, broaden our perspective about this world we live in, and create lasting memories in the process? If you are reading this post and have any suggestions for must-see places to visit with kids, I’d love to hear about them. We’re always looking for inspiration.